In my previous post on The Solution for Great Look Abs, I explained what it really takes to improve your mid-section. Once you are following these guidelines, you can add some direct ab exercises and that can further help get you to your goals – IF you pick the right ones. All jokes aside, if you are following the guidelines from The Solution for Great Look Abs post, then you can further enhance your results with the right exercises. I will give you my personal favourites, the most important thing you can take from this post is these ab training principles. Other basic human movements: sprints, climbing, rolling, crawling, jumping, throwing and Turkish get-ups can be a great addition to these movements when added in the prep phase at the beginning or afterwards as a finisher. These movements are the best exercises you can do to get stronger, build lean muscle, improve performance, burn fat in a time-efficient manner. Therefore, they should make up the bulk of your training routine. Not only will these movements hit your arms, legs shoulders and hips, but your abs will get a lot of indirect work. Also, these movements can be modified to hit the abdominal muscles even more intensely by switching to unilateral (one limb at a time) versions. For example, try doing a one-arm dumbbell bench press or a 1-arm farmer’s walk and you will quickly discover your core muscles working like crazy! Do not get carried away with core exercises. You have a limited amount of time and energy to train. Also, as mentioned previously, you get a lot of work if you are doing the best movements anyway. Keep direct abdominal training to minimum. Activate the abdominal muscles prior to training for improved performance and safety during your main training sessions (use lower intensity- exercises for this and avoid fatigue). A great example of this is Suspension Strap Mountain Climbers. What about sit-ups and crunches? Contrary to popular tradition, I would avoid traditional sit-ups and crunches. See my previous post on 5 Reasons I Don’t Use Crunches for more details. Note: there has been some more recent challenge to previous-held concern that perhaps the spinal flexion worries we had are not as big of a deal. While this may be true, I still cannot find a good reason for most people to do spinal flexion exercises. One possible argument for flexion exercises is that it would allow dynamic abdominal contractions which may result in better abdominal muscle hypertrophy than the isometric (no movement) exercises such as those given above. While this may be true, do not underestimate the value of isometric exercises. If I trained physique athletes (i.e. bodybuilders, figure competitors, etc. ), I may look at doing a dynamic weighted curl-up (this is like a crunch but you do not go into spinal flexion) over a Swiss ball, but I would not use this outside of the context of a competitive physique athlete trying maximize abdominal hypertrophy. Add 1-2 direct abdominal exercises at the end of your resistance training session (you can pick from the list I’ve given above or select other appropriate exercises for you based on the criteria given). Another option is to include abdominal exercises as part of your circuit (if doing circuit training) or alternating sets of abdominal exercises with other exercises. This is more time efficient, but it can interfere with your big movements. Use 2-4 sets that last about 10 seconds for strength. You can try increasing time or doing more sets if hypertrophy is your goal. Work on your posture - it makes a bigger difference on how your abs look than you think. Bottom line: if you want great abs, remember that direct abdominal training plays a relatively small part. Focus on the best methods for total body fat loss and then add a few effective abdominal exercises in and you will be set. 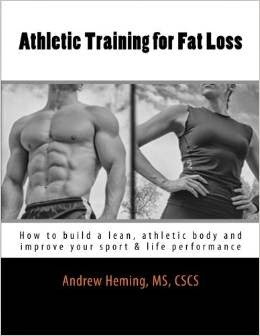 For a complete guide on effective fat loss, check out my book: Athletic Training for Fat Loss. How about you? What are you favorite ab exercises? I invite you to share in the comments section below. You are welcome - thanks for reading Romilda!